← Hunting the Hard Way – In Idaho with Theo Schett and „Sunset Hill“- Howard Hill-style-master-bowyer Nate Steen. We did a trick shooting movie short, using the new LegendStick longbow, made by Howard Hill Archery. Heinz Hoffmann directed the clip, Linda and Pierre „Little Big Grizzly“ were the brave folks near the target. It was fun as archery should be. Peter O. Stecher did the shooting. 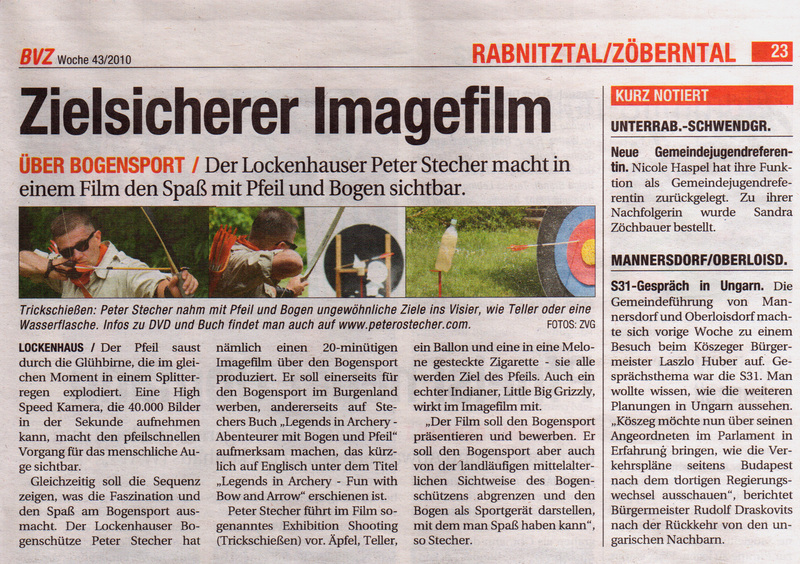 Legends in Archery – Film – Bogensport & Spaß! Dieser Beitrag wurde unter 弓箭手 鹰眼 Bowman Magazine abgelegt und mit Archery, archery books, arrows, Austria, author, Become the Arrow, Bob Swinehart, Books, Burgenland, Byron Ferguson, fun with archery, heavy bow, Heinz Hoffmann, Howard Hill, Hunting the Hard Way, Legends in Archery, Little Big Grizzly, Longbow, Longbowarchers Lockenhaus, Peter O. Stecher, quiver, Robin Hood, StyrianLongbow, traditional archery, Trickshooting verschlagwortet. Setze ein Lesezeichen auf den Permalink. 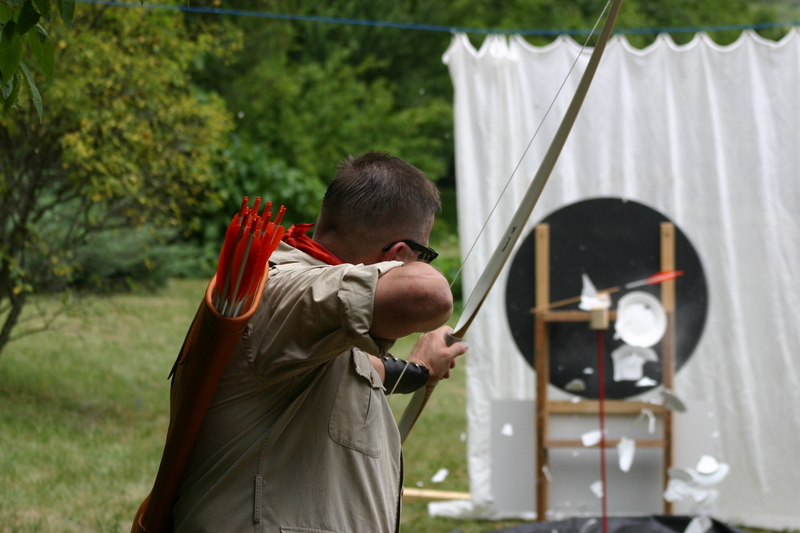 Eine Antwort zu Legends in Archery – trick shooting with the LegendStick longbow.